have about 1500+. 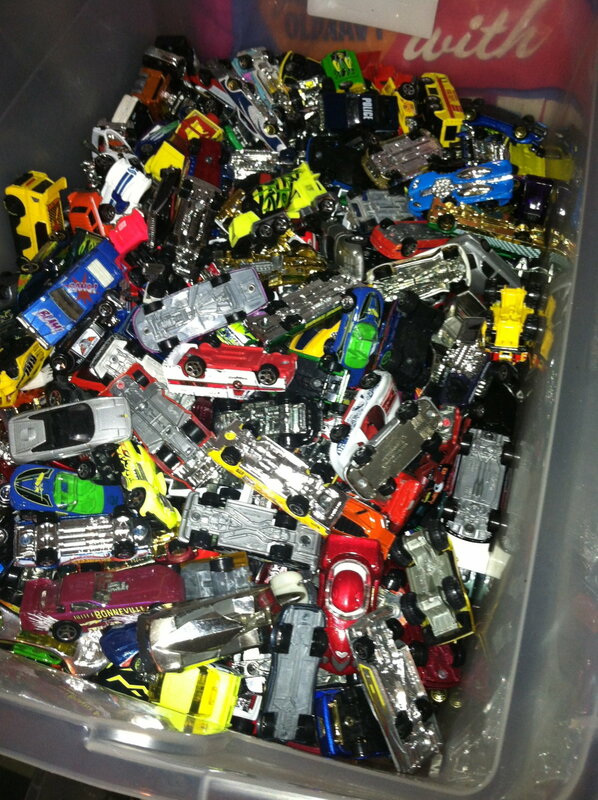 No Matchbox or others mixed in. All mint fron early mid 90’s. Don’t know how to get rid if them. 3 containers. Each weigh about 50 lbs. not a fan if Craigslist and getting shanked. I wish I had mine from the early '70s. If in good shape, some rare ones may be worth a little. Not in the last 45 years. I have about 2 dozen from the early 70's in the original plastic storage wheel. All made in the USA. 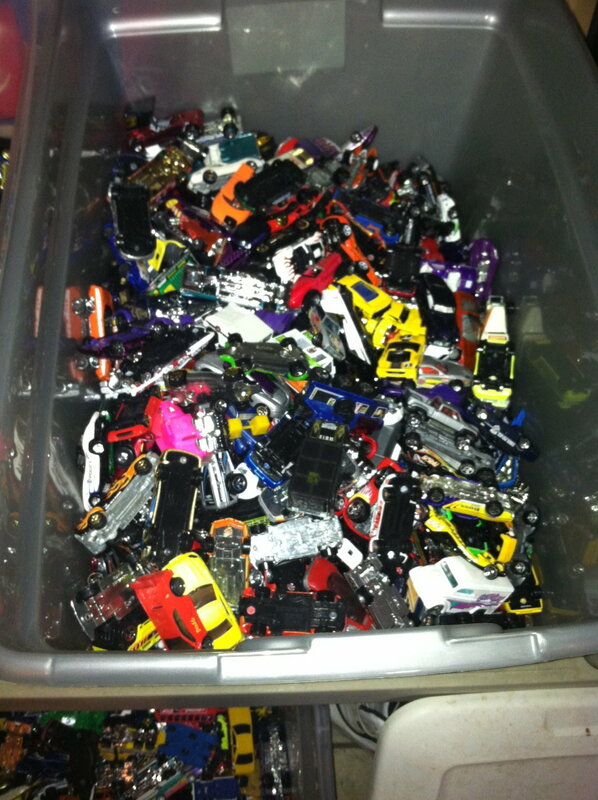 My 4 year old grandson is a hot wheel fanatic. buy, buy, buy. Such fun!!! A guy i work with has over 20,000....all listed in an excel spread sheet. And he continues to search for more. I wish I had some of my Redlines I had when I was a kid. Catching good money right now. Had many orange tracks and track sets too. I really wish I had a Beach Bomb (or two) laying around. I could be set. I called my buddy, Phil - he'll be contacting you in the A.M.. He goes by "Dr. Phil" - just so you'll know when he calls. VERY COOL - wish I had some of my childhood stuff. Parents got rid of it when I went into the Navy! I have a collection of mostly 1968 and 1969 hot wheels. The original redline hot wheels. They were mine from when I was a kid. All in excellent condition. At one time I started looking into their value. One car was rare and was worth about $400 at the time. But I never finished going through what I had. Plan to sell them eventually. They say collectible values have up and down cycles. Who knows. I might have some he would be interested in. Google around for a guy in your area that does auctions for estate sales...this way you have a comfy feeling of not having to deal with the scammers. Granted you won't get near the value, but you'll get something, and ease of sale. Man, in the 70's we had some of the best toys! Totally remember getting together with buds in the neighborhood...setting up one-huge-track! Did the same thing later on when those slot racers were catching on, AFX was the brand most of us had. The richer kids has those ones with a letter T in the name that could change lanes...no slots. Oh..and don't forget those .049 gas control line planes. Brad1, HatchieLuvr and WeeKilt like this. Only 1,500? I have a friend whose collection got so large his wife divorced him. He had them everywhere. He had to have had 3 or 4 hundred large plastic containers full of them. His addiction was strong, very strong. He'd tell me about how valuable certain ones were but he'd never sell. Good luck getting rid of them. The first thing I suggest you do is catalog them, if you haven't done that already. This thread got me looking into some of the values of the cars I have. Hot shot ace. $3,000 to $4,000. Mad Maverick. Doesn't give a price, but says only 5 have been found. I think I have two of them. Lone Ranger, gofastsandman and FreddyNJ like this. Probably the Johnny Lightning version or the "Mighty" Maverick, the hot wheels that is actually marked Mad Maverick is insanely rare, Im not even sure they made it past prototype. It's definatly the hot wheels one. 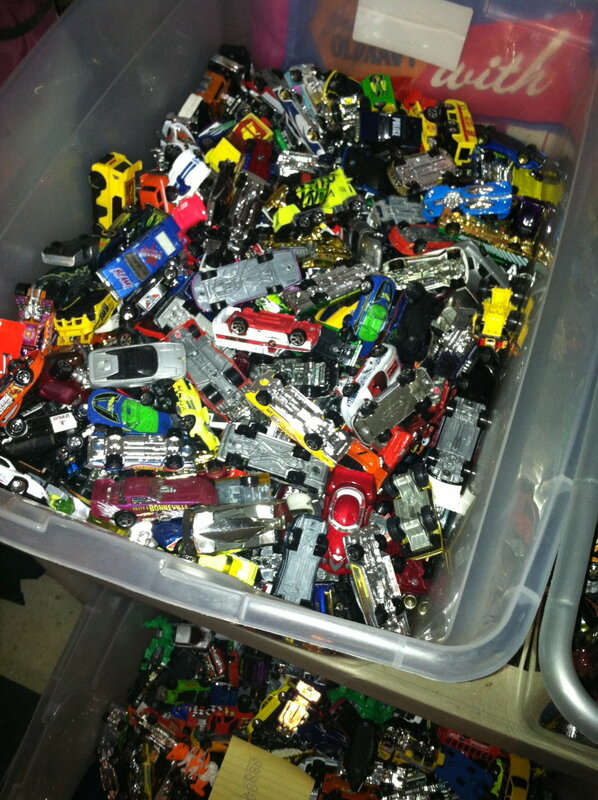 I never had any Johnny lightning or match box cars when I was a kid. Hot wheels only. I have approximately 50 of them. I believe they were all from 1968 and 1969, though there may be a couple from 1970. I knew the purple 442 was rare. I thought that was the only rare one I had though. Well what do you know. Purple AMX. $4,000. Got that one too.